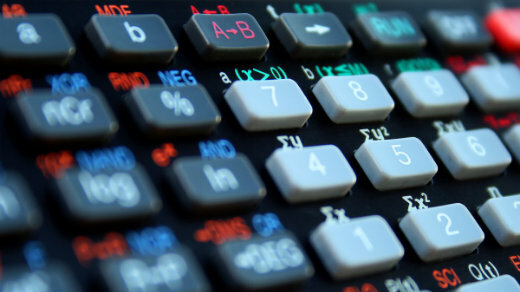 Orpie is a text-mode reverse Polish notation (RPN) calculator for the Linux console. It works very much like the early, well-loved Hewlett-Packard calculators. Orpie has a comprehensive man page; new users may want to have it open in another terminal window as they get started. Orpie can be customized for each user by editing the ~/.orpierc configuration file. The orpierc(5) man page describes the contents of this file, and /etc/orpierc describes the default configuration. Start Orpie by typing orpie at the command line. The main screen shows context-sensitive help on the left and the stack on the right. The cursor, where you enter numbers you want to calculate, is at the bottom-right corner. 2 <enter> 3 * 4 * 5 * Faster! Observe that when you enter ‘, the left pane changes to show matching functions as you type. In the example above, typing fa is enough to get the fact function. Orpie offers many functions—experiment by typing ‘ and a few letters to see what’s available. Note that each operation replaces one or more values on the stack. If you want to store the value at position 1 in the stack, key in (for example) @factot<enter> and S’. To retrieve the value, key in (for example) @factot<enter> then ; (if you want to see it; otherwise just leave @factot as the value for the next calculation). Like choosing functions after typing ‘, typing C shows matching constants based on what you type. Note that the ] characters are automatically inserted—entering [ starts a new row. Note that as you go, the results are kept on the stack so you can observe intermediate results in a lengthy calculation. You can exit from Orpie by typing Q. Your state is saved, so the next time you start Orpie, you’ll find the stack as you left it.